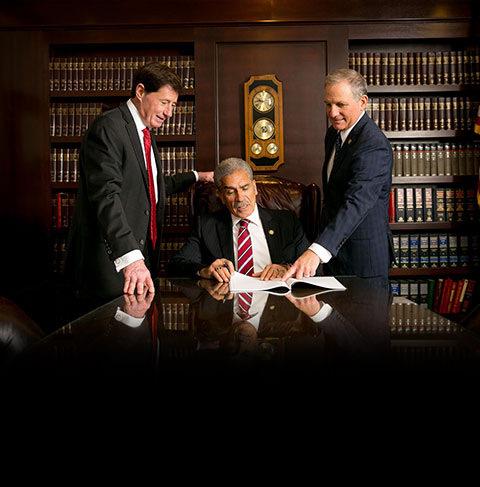 Joel J. Thomas is an Attorney at Law in California and a Senior Founding partner of the Law Firm of DiMarco | Araujo | Montevideo, A Professional Law Corporation. Born in southern California, Mr. Thomas moved multiple time to various states before returning to California and graduating from California State University, Los Angeles with a Bachelor of Science degree with an emphasis in accounting. Mr. Thomas continued on to receive his Master in Business Administration degree from the University of Southern California. In 1998, was admitted to the California State Bar, following his receipt of a Juris Doctorate degree from Western State University, College of Law. Mr. Thomas became a Certified Public Accountant in 1984 and was employed by a “Big Eight” accounting firm until he moved into private practice as Controller. Mr. Thomas worked as either a Controller or Chief Financial Officer for multiple private and publicly held corporations. His experience with varying industries includes, banking, oil and gas, high-tech, construction and investment banking companies. Although retired as a CPA he remains a member American Institute of Certified Public Accountants. Mr. Thomas started his own financial consulting firm and became involved in workers’ compensation industry in 1991. Later Mr. Thomas started his own law office specializing in business litigation, workers’ compensation and employment issues. Mr. Thomas joined the firm of DiMarco | Araujo | Montevideo, APLC as an associate in 2000 and became a partner in 2006. His predominate area of practice is workers’ compensation, representing injured workers. He is a member of California Applicant Attorney Association, and is on their Board of Governors and is the current Orange County chapter’s President. Mr. Thomas is married and has three children.